Silver Laughter – This 1976 photo shows the 1978 lineup that performed this tune – Jon, Ken, Paul and Mick with sound man, Carl in black. 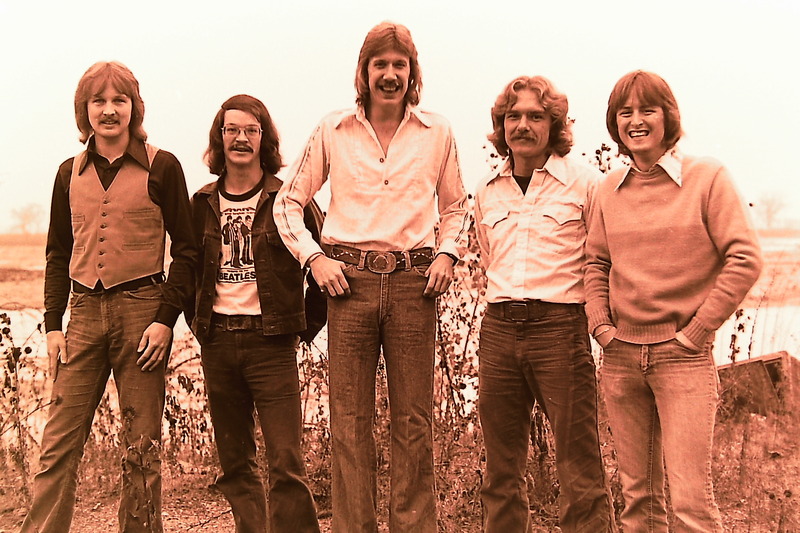 Click on the link above to hear this RARE live performance of the Silver Laughter song recorded in Albert Lea, Minnesota around 1978. This is a very good live recording of this song from the “Sailing On Fantasies” album with Mick Orton of The Silvers as lead singer. Other members on this cut are Jon Ludtke on rhythm guitar and vocals, Ken Wiles on lead guitar and vocals and Paul Staack on drums and vocals. Carl Frisch is on the board doing sound and lights. ‹ Friend Of Silver Laughter Checks In!